MWPVL International provides consulting services to help companies with the evaluation, selection, specification, and implementation of material handling systems. Our consulting services cover the full range of conventional, mechanized and automated material handling systems, including new solutions that are still in their early development phase. Many companies have put our experience to work to develop innovative and cost effective material handling solutions. Which warehouse layout and material handling equipment options are the most appropriate for a firm’s distribution operation today? into the future? Is there an opportunity for a company to deploy automated or semi-automated material handling systems that can be cost justified within a firm’s required hurdle rate? Can a company start small and grow into such a system? 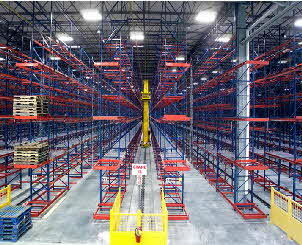 Does the existing material handling system deliver the productivity levels that should be expected? Are there improvements that can be made to the existing operation before investing further capital? What type of labor productivity levels can a company expect to obtain from a new material handling system? How can a company do more with the facilities that are already in place? How can a firm maximize the use of existing assets? Is this the most cost effective strategy for a company to take? 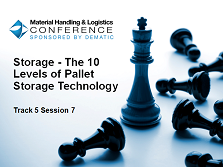 Are there innovative material handling systems available that will enable: an increase in storage and throughput capacity; an increase in labor efficiency; and / or an increase in operating flexibility? Which vendors should be considered for issuance of bids for material handling equipment? Why? How can a company issue a formal request for proposal with equipment specifications clearly defined to ensure an apples-to apples comparison of material handling solutions? Which vendor should be selected to deliver the best value for the capital investment? MWPVL International has managed the design and implementation of many conventional, mechanized and automated material handling systems. As importantly, we maintain a strong network of qualified business partners to stay current in our knowledge of the rapidly changing world of best practice design concepts and systems.